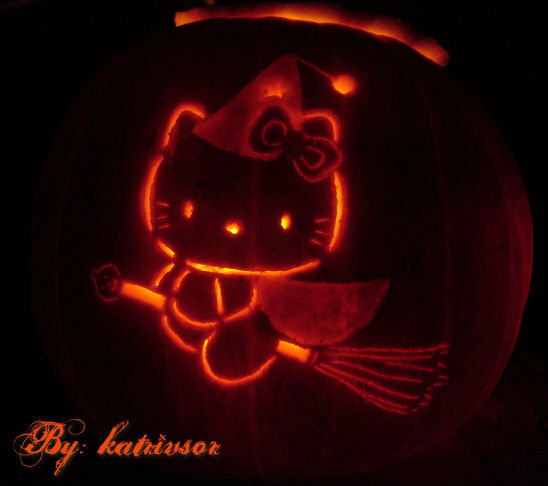 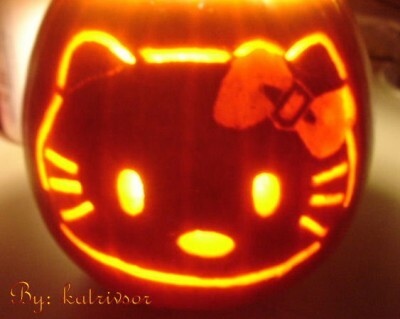 While I do believe that creating a Hello Kitty Halloween pumpkin is the best way to ruin a perfectly good holiday, I guess it’s a great way to scare the hell out of all the kids in the neighborhood and keep them away from your house. 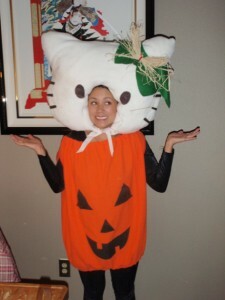 It’s not like there was any surprise that this was coming. 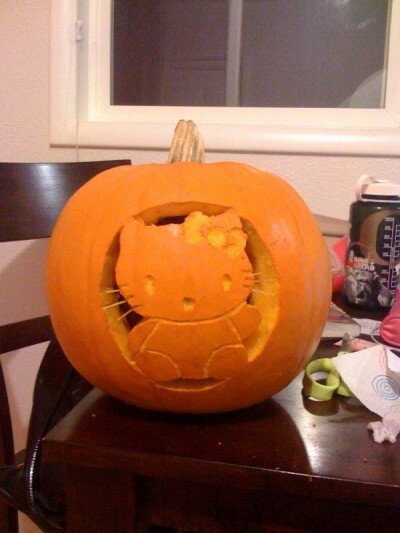 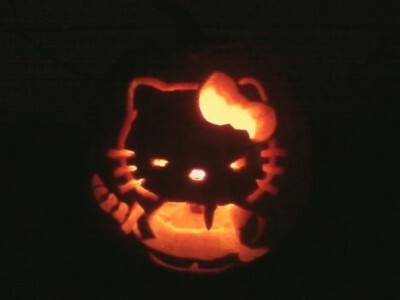 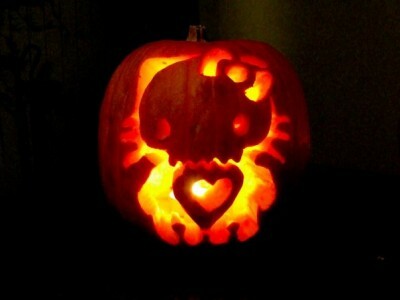 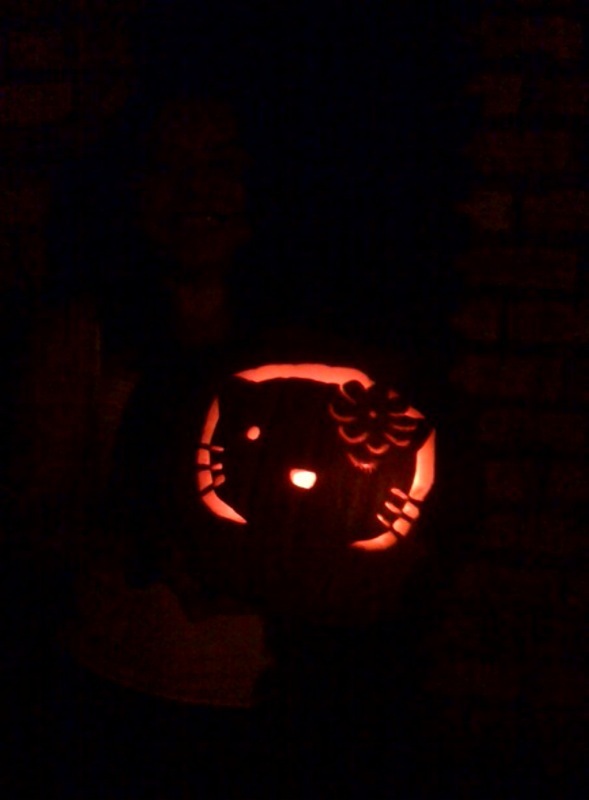 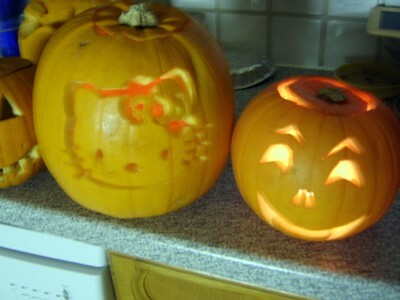 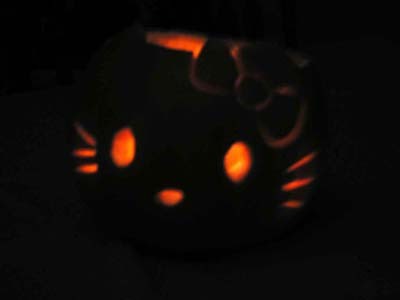 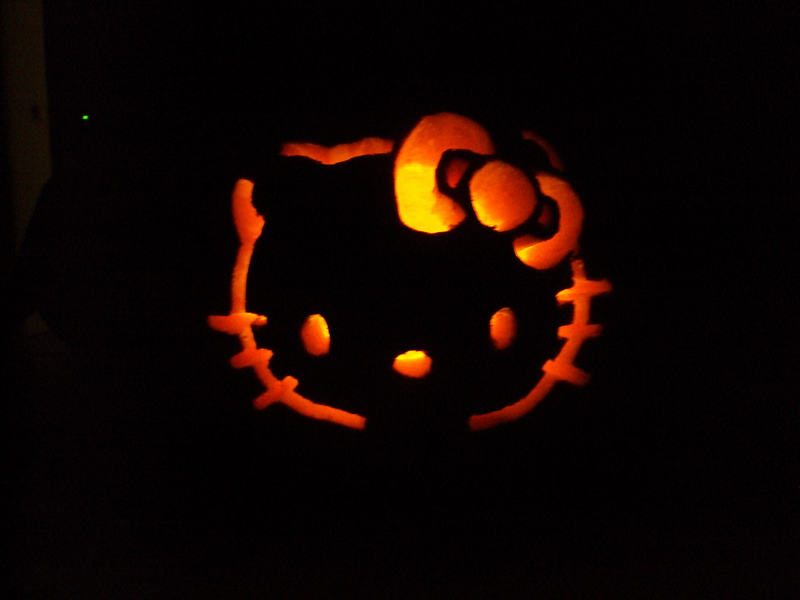 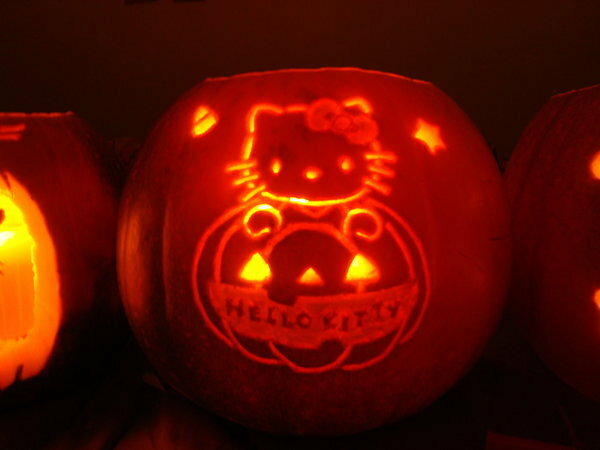 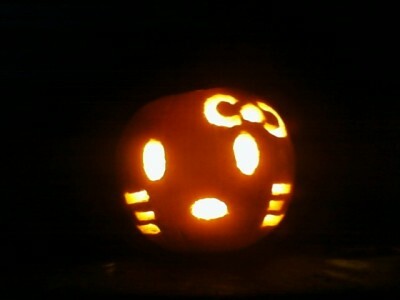 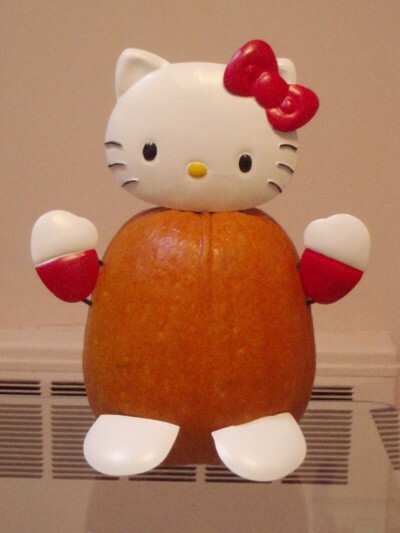 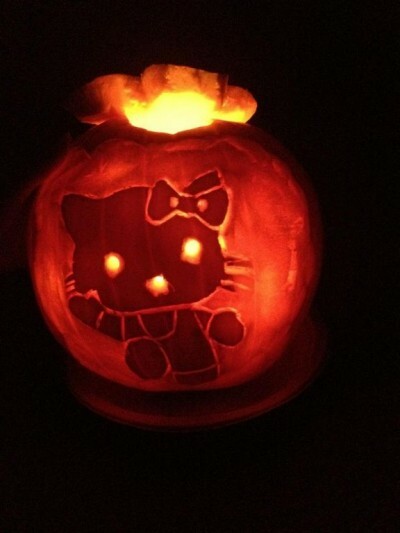 My wife loves to create Hello Kitty pumpkins and the fanatics out there have never had a problem sending me their Hello Kitty pumpkin carving creations to give my wife more ideas. 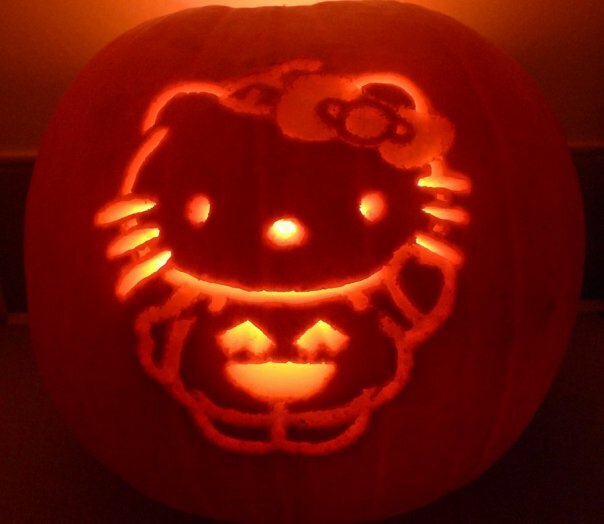 I have the distinct feeling that I will be getting more to add whether I want them or not because Hello Kitty fanatics don’t understand the concept of “don’t share” and they seem to feel (for some unfathomable reason) it’s their duty to make my life all the more Hello Kitty Hellish. Left by Kathryn via facebook — one for each of the last four years.